Change article 73 with a new one that requires us to elect a chair, treasurer, secretary and a child protection officer. 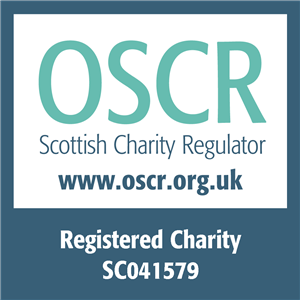 The child protection officer can be delegated to a member of each sub- committee where appropriate as defined under clause 103. 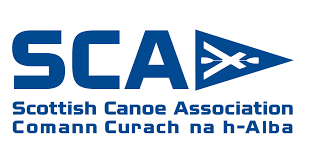 (This Change is required by (i) SCA to reference the role of Child Protection Officer in the constitution, and (ii) by sportscotland to see the role of a trained Wellbeing / Child Protection Officer enshrined in the governance document). Amend article 59 to increase the number of trustees to a maximum of 12. Annual Accounts – They were made available to the members before the meeting. There were no issues raised regarding the accounts. Web site – Jeremy explained the benefits to the club of the Go Membership. The new web site will be adopted by the club for the start of the season (April). It is hoped that all the 3 sections of the club will engage with the web site as it will be an opportunity for the 3 disciplines to be brought together more closely. 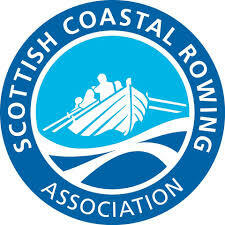 Rowing – Mhairi explained what the rowers have done this year including the organising of the regatta and various socials. A number of members have been involved in rebuilding new rudders and maintaining the boats over the winter period. Rowing continues to take place every week throughout the year. Sailing – The sailors have taken 470 people on boats this year and 198 were involved in Rescue duties. Two days were organised in collaboration with the RYA to promote sailing to non sailors (This was part of the ‘Push the boat out’ national programme of events). A number of new members joined the club as a result of this. Sailors, along with kayakers and rowers also organised two triathons to promote different activities to club members. A pilot 6 week sailing course was trialled this year for 6 adults and children. This will be expanded next year. More people have been trained as PB2 drivers and we now have three qualified dinghy instructors, and one person who is qualified to instruct up to PB2 level and also run radio courses. Kayaking – Kayaking continues to attract large numbers of adults and children. They often run out of boats due to the demand. They have offered a number of trips this year including St Abbs, Inchcolm Island, N Berwick and a Tweed river trip. They hope to continue this and more next year. The number of qualified kayakers is a limiting factor to what they can achieve. Castlebrae partnership – Andy and Ali have organised two six week blocks for the 1st year pupils which includes them sailing, rowing and kayaking. The pupils were working towards their paddle power passport qualification. The year ended with a 3 day trip to Loch Linnhe with Andy, Ali, two teachers and 17 pupils. The school would like to continue to fund the S2 pupils through the Scottish Attainment Challenge funding. Ali and Andy would like to offer something to the new S1 pupils and wider community organisations but this depends on funding, school timetables and club capacity. The partnership is funded through grant applications. 5 year plan – Ian presented the 5 year plans that have been developed by each discipline. The plans have been brought together by the trustees into one overaching plan. This was made available to the members. It is hoped the plan will help in funding applications for any future development. Volunteering – Names of members present were collected who could offer help with any of the tasks that are due to be undertaken over the course of the year. Four members offered help. Mhairi Sumner, Catherine Scott, Ali Grant, Olly Treadway, Lorna Sherwood, Jeremy Webb, Richard Hope.